How often do our predictions become a reality? Some things can be anticipated like the time of the tides, other things less so like Leicester City wining the Premier League. 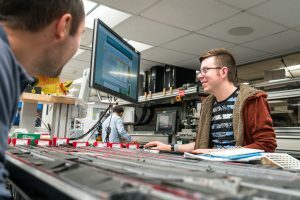 More often than not, geoscience research has similar traits and it’s the unpredictability of the rocks we encounter that drives many of us to have careers in this field. 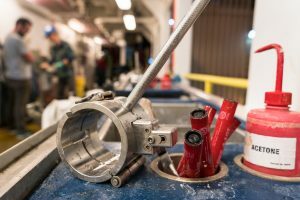 Drilling on the JOIDES Resolution (JR) is a prime example of this – a group of scientists with a shared research interest take a punt with a 10 cm wide core bit, take it 3000 m to the seafloor (or deeper) and drill the underlying strata to see if their hypotheses are correct. 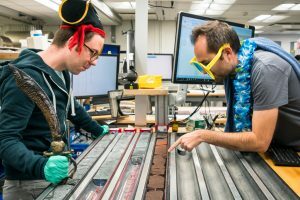 The majority of IODP cruises encounter rocks that could not be foretold from desk-based studies and Expedition 369 is no different, especially when Hole U1512 was drilled. 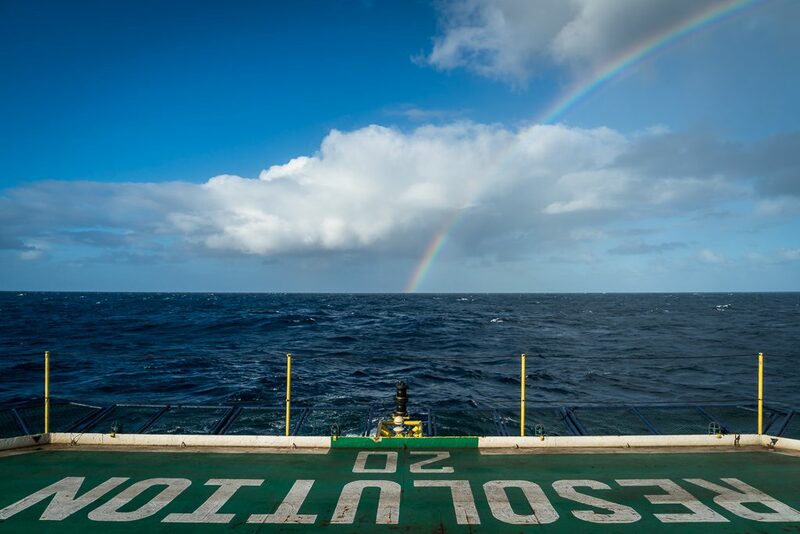 With a limited dataset including images of the subsurface from seismic surveys and several rocks dredged from the seafloor, those on board thought that we would encounter black shales related to a spell of global warming during the time of the dinosaurs. What was eventually bought up from the seafloor was something entirely different and unique – an expanded record of mudstone deposition spanning approximately 10 million years. This is rare phenomena as the stratigraphic record is often fragmentary. Think of it as trying to recognize a person in a photo has that been ripped up but you only have two or three straggly pieces to hand. Our view of the geologic past is very similar due to the episodic way rocks are deposited and eroded. What was uncovered was a near complete picture of what was happening during the Late Cretaceous off the southern coast of Australia. Such rocks provide the opportunity to study environmental and climatic changes in high resolution over a prolonged period of time without any interruptions bought about by geologic processes from the time of deposition to the present day. Although there was disappointment not finding any black shales, what was uncovered instead has opened new opportunities that will reveal new insights from this part of the world in unprecedented detail during the Late Cretaceous. Hello! I'm an Earth scientist, photographer, writer and filmmaker specializing in natural world storytelling and documenting scientific expeditions. I am sailing as an Education and Outreach Officer for Expedition 379 - Amundsen Sea West Antarctic Ice Sheet History. We're off to Antarctica! !